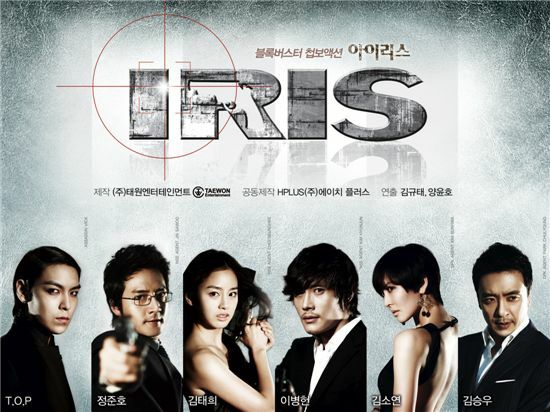 The movie version of Korean blockbuster TV series "IRIS" will be released next week. A press release from the show's producer Taewon Entertainment announced Friday that "IRIS: THE MOVIE" will be available for download through contents distribution company cine21i on November 22. "IRIS: THE MOVIE," reconstituted from the 20-part drama, will feature the truth about the death of character Hyun-jun (played by actor Lee Byung-hun) as well as new scenes. Drama "IRIS," which aired in Korea on major broadcasting company KBS from October 2009 to December 2009, starred several of the biggest names in the entertainment industry including Kim Tae-hee, Jung Joon-ho, Kim So-yeon and Big Bang member T.O.P. The action-packed espionage series dominated the primetime lineup during its run, scoring viewership ratings of nearly 40 percent. The movie will be available through IPTV (Internet Protocol Television), cable networks including PPV and 100 online websites next week.